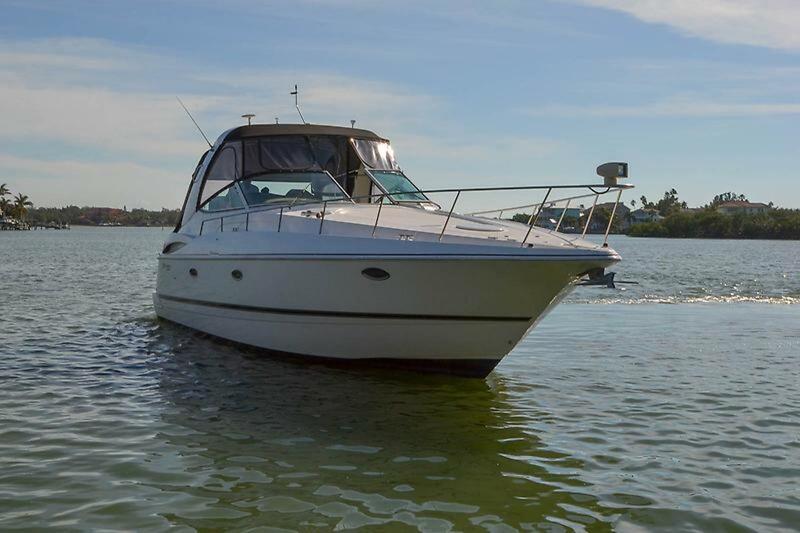 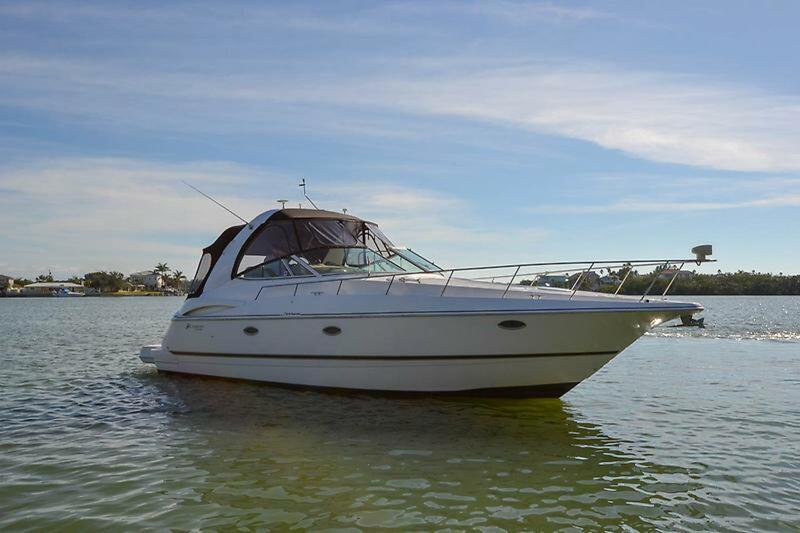 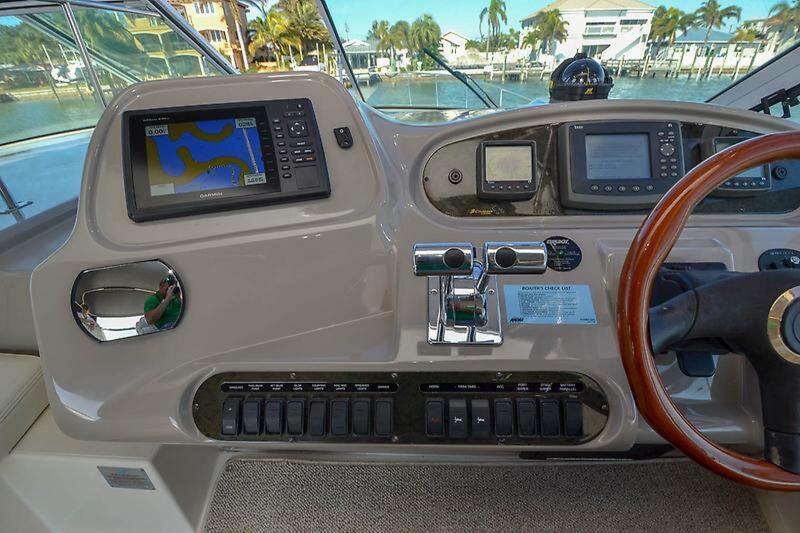 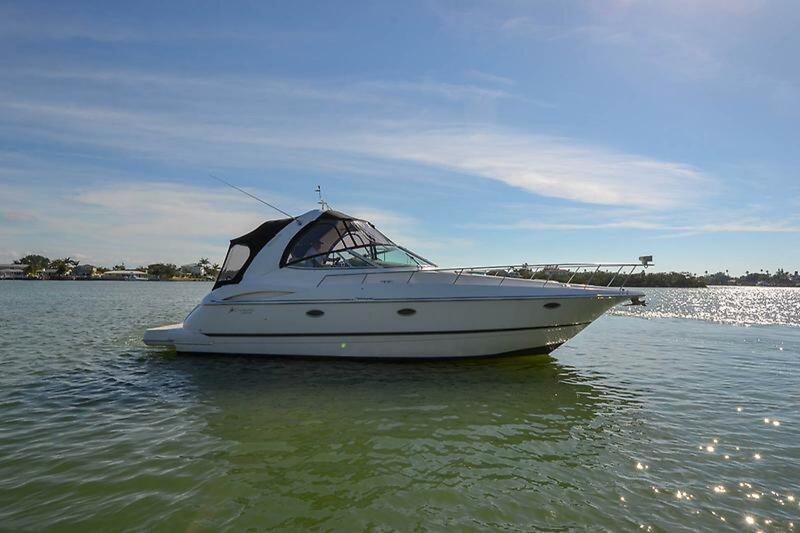 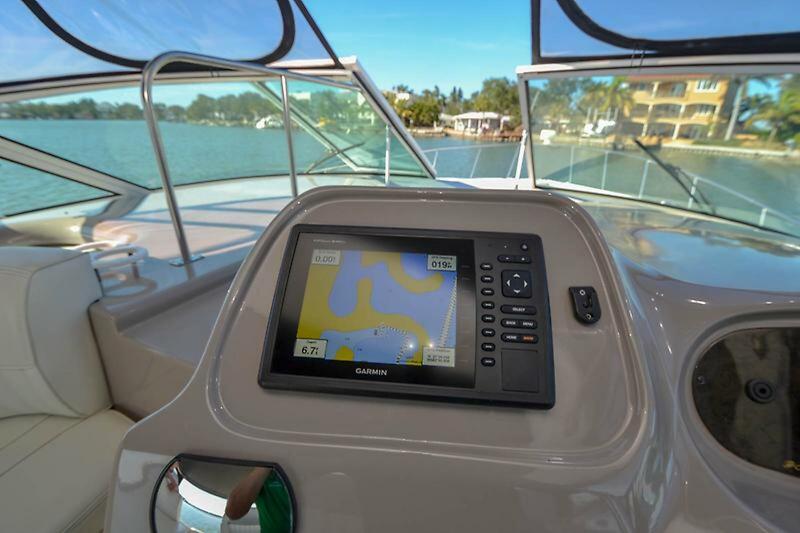 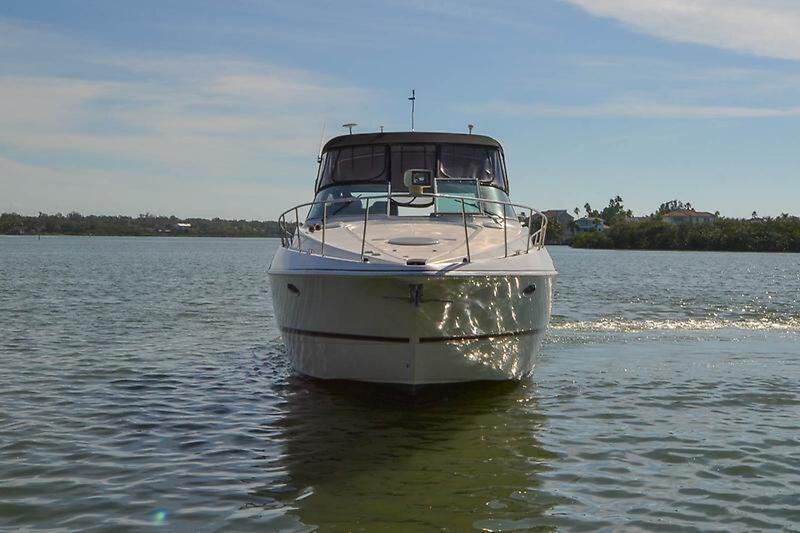 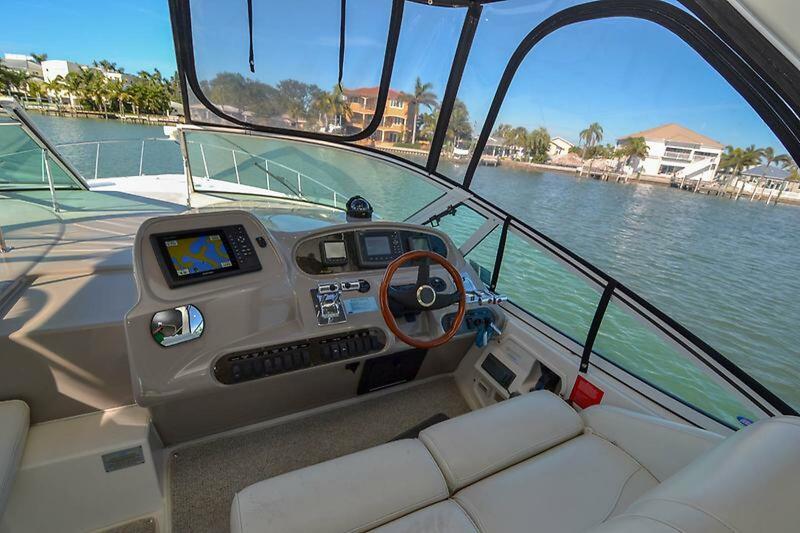 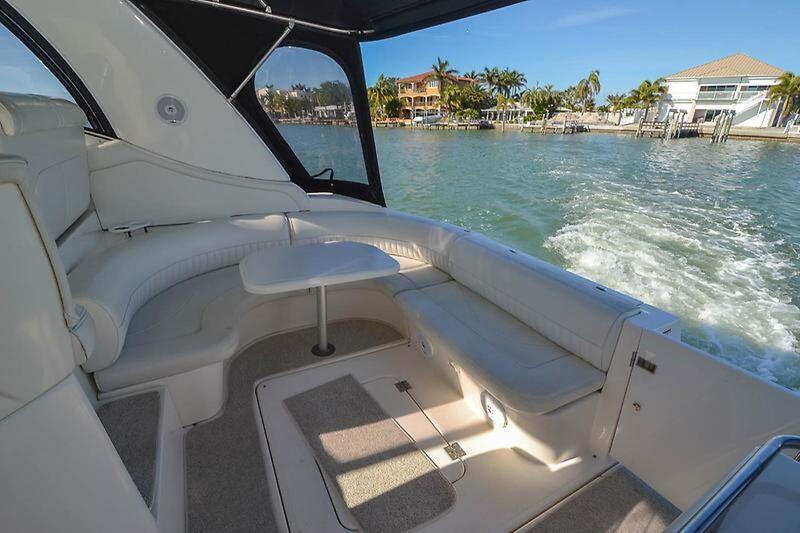 Cruisers Yachts 3772 also know as 370 Express has a tall freeboard and sleek appearance, the 3772 Express conveys the impression of being a bigger boat than her 36 foot hull water-line length suggests. 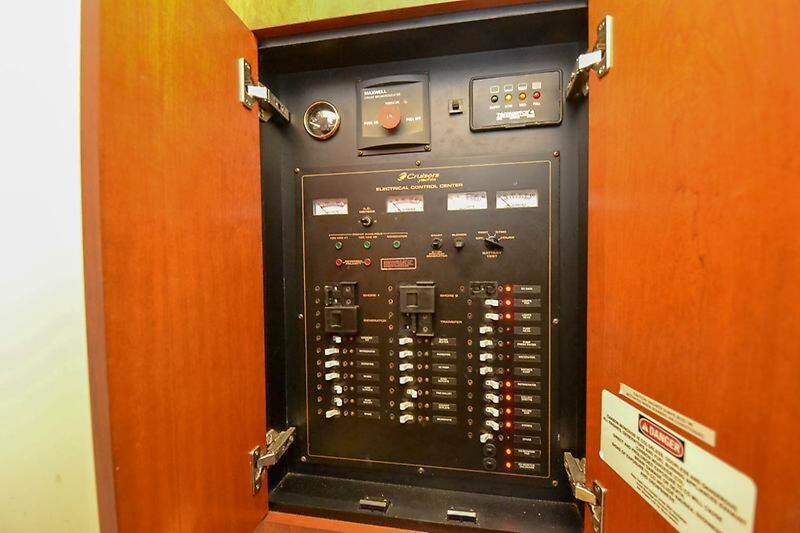 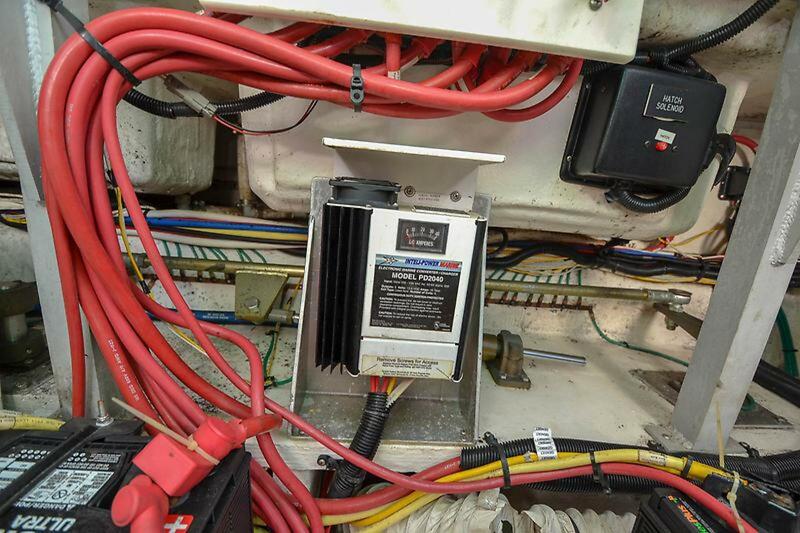 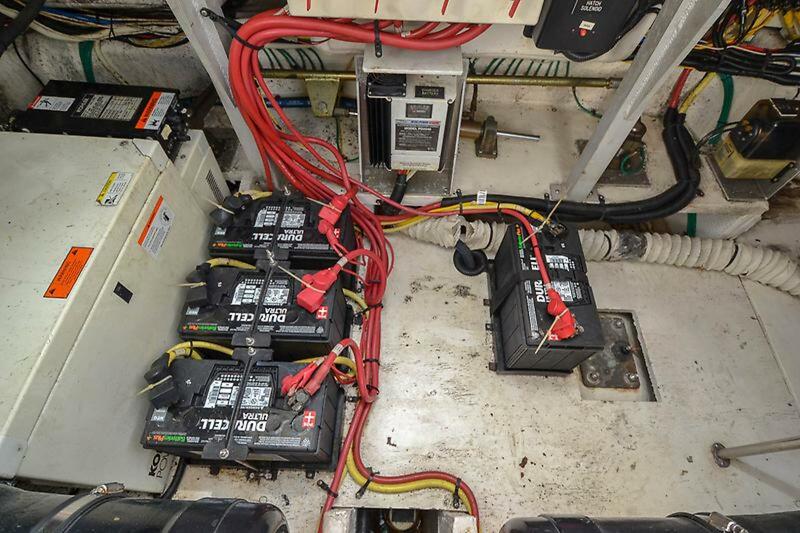 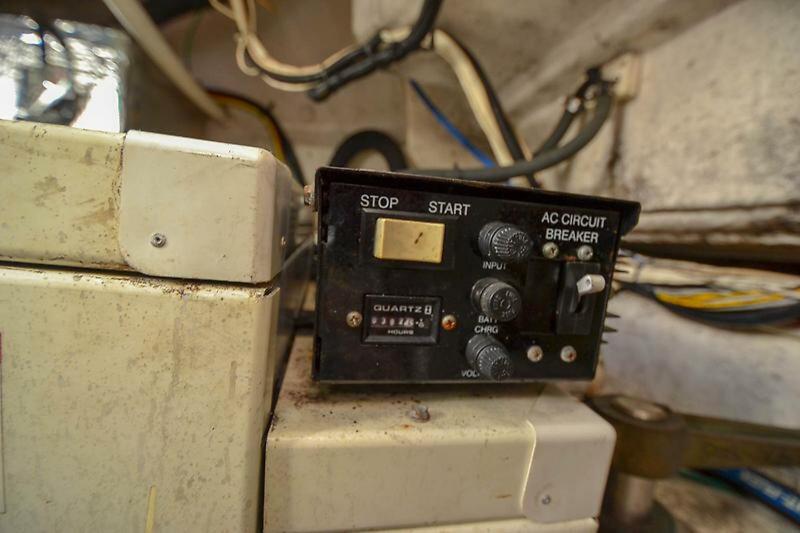 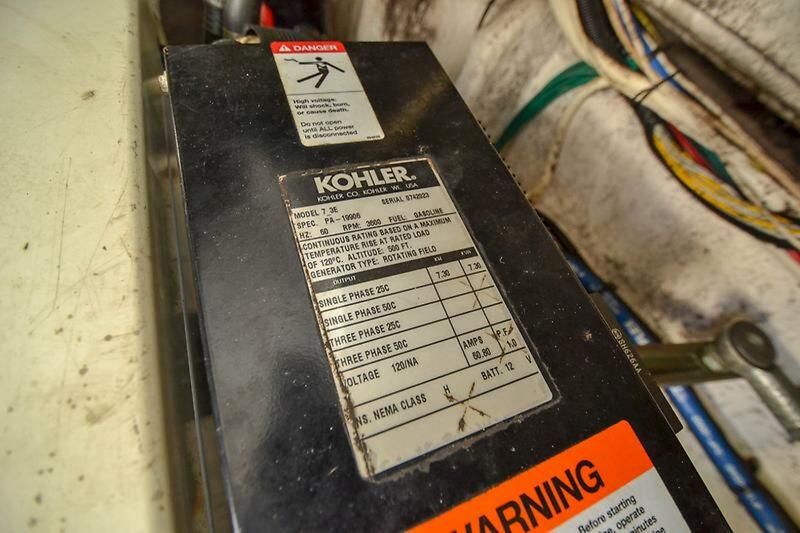 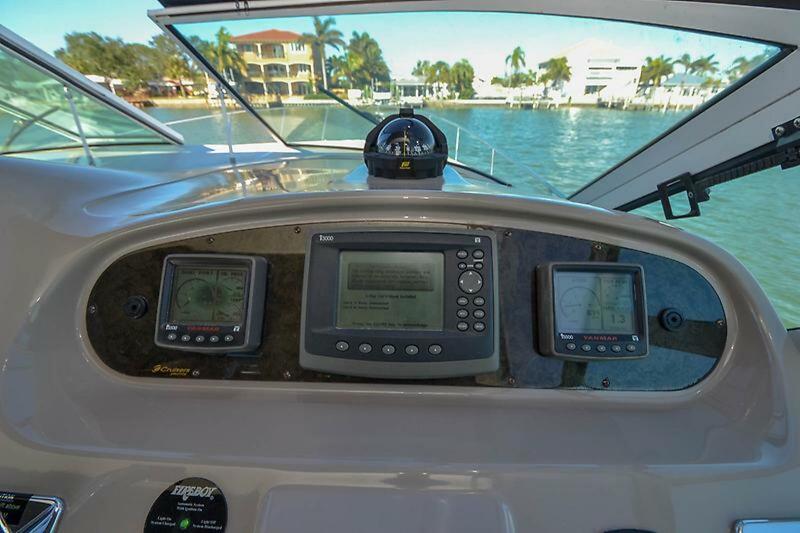 This lift kept vessel has upgraded Garmin electronics and was recently service, water pumps, oil & filters. 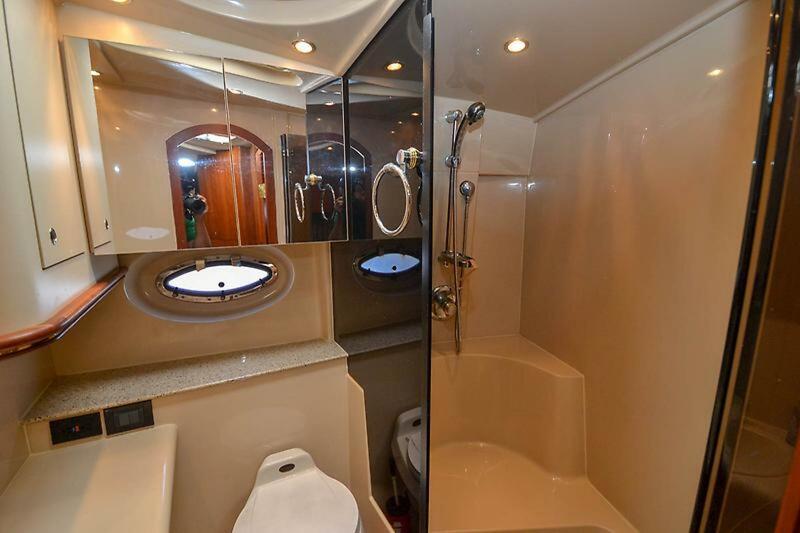 Built on a cored modified-V hull with prop pockets and an integrated swim platform, she offers a open floor plan with separate head and shower, a rarity in production express boats these days. 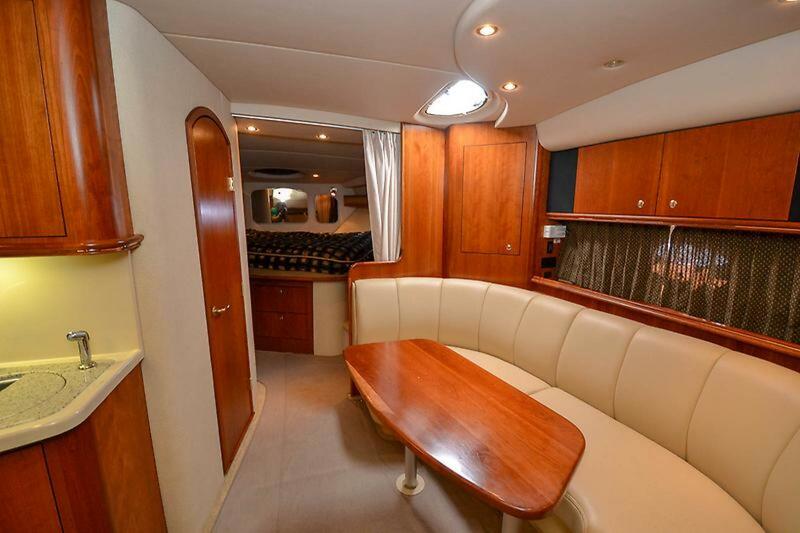 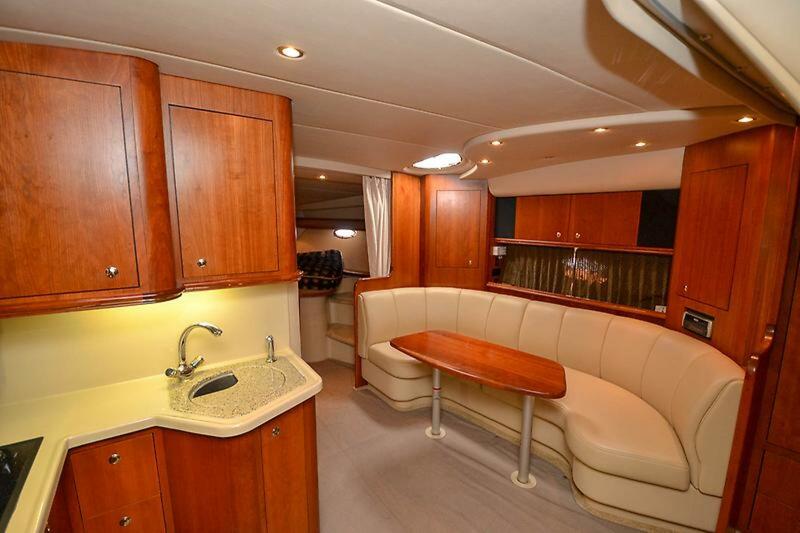 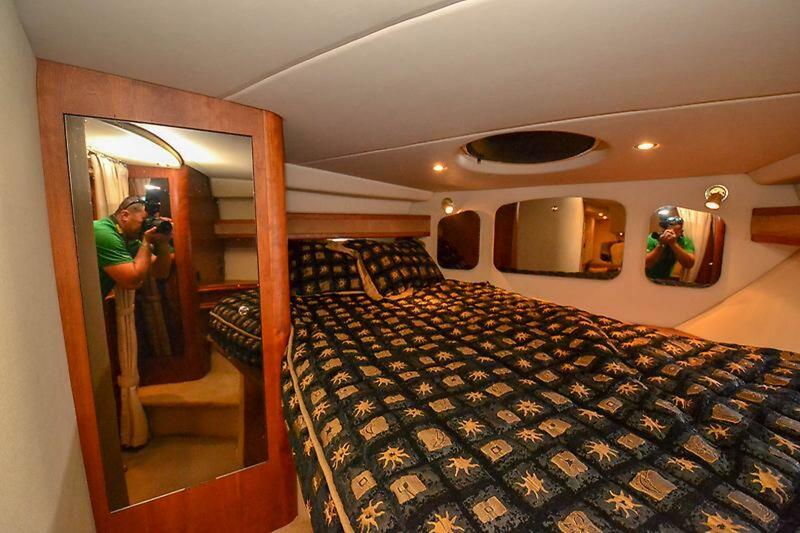 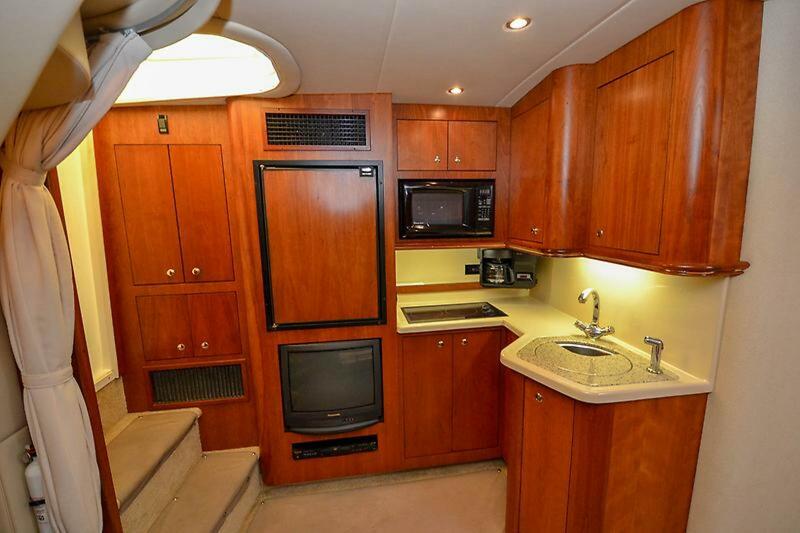 A very spacious single-stateroom floor plan has an aft sleeper-sofa in the salon. 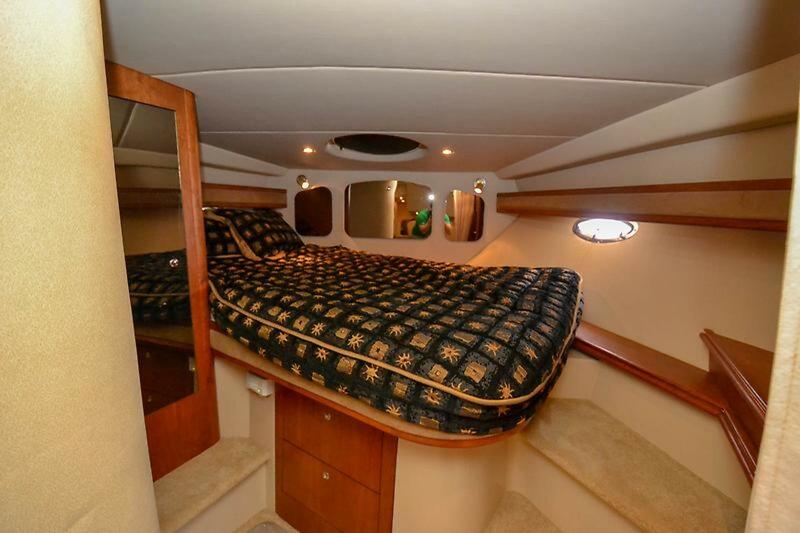 What makes these layouts so comfortable and unique is the single-level salon sole; in most other mid cabin designs, the settee/aft berth area is a step down from the salon floor. 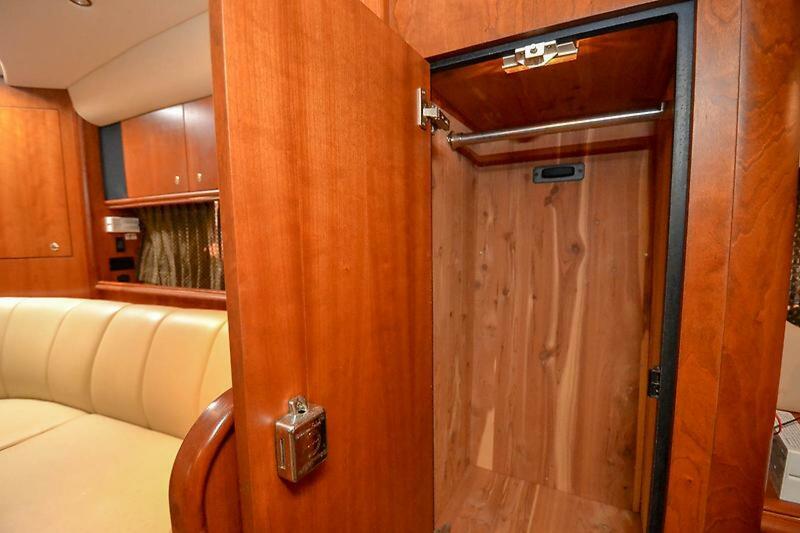 The interior is tastefully finished with cherry woodwork and joinery. 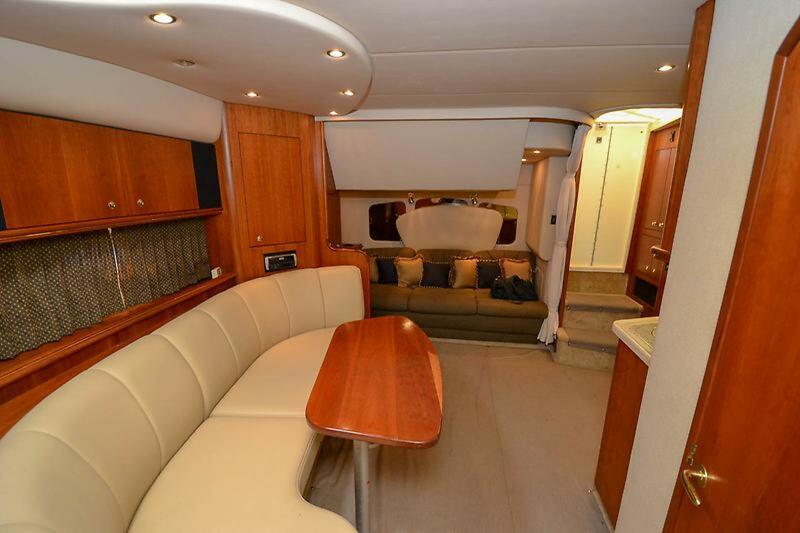 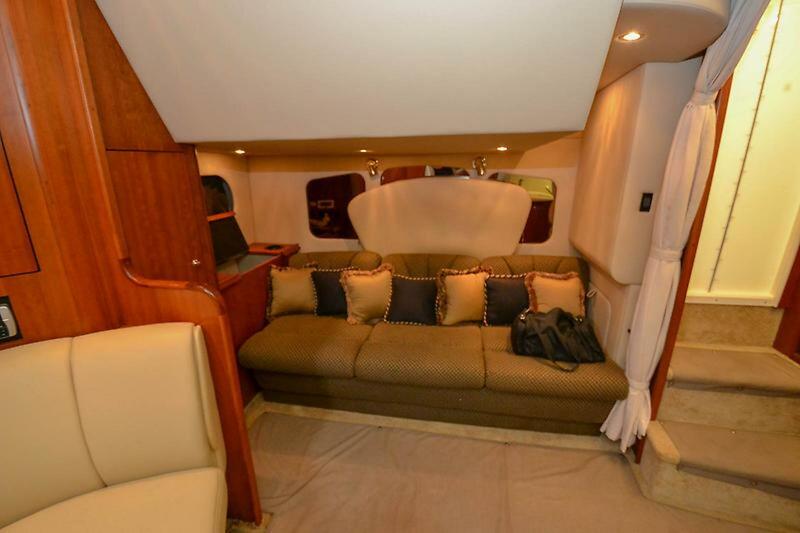 It is unusually spacious thanks to the 3772's wide 13' beam. 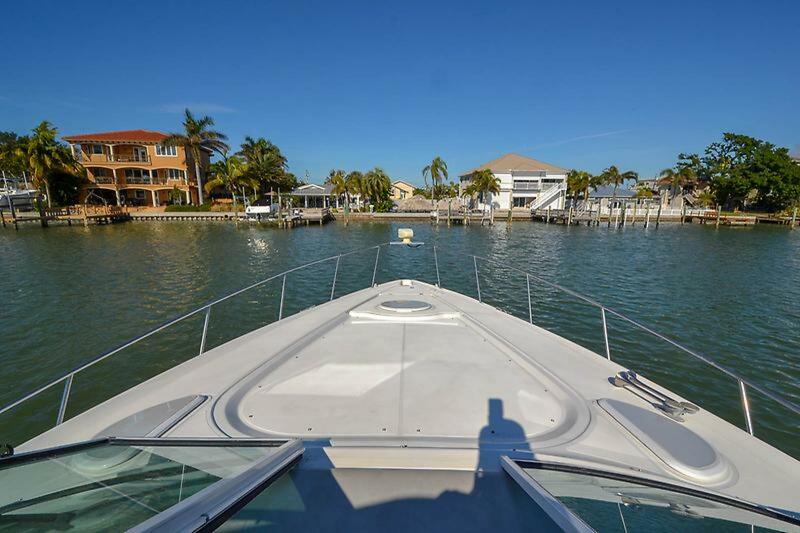 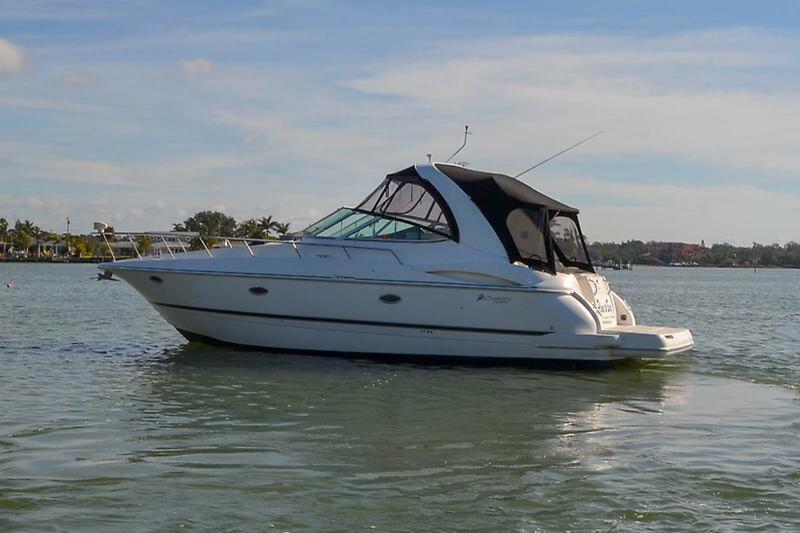 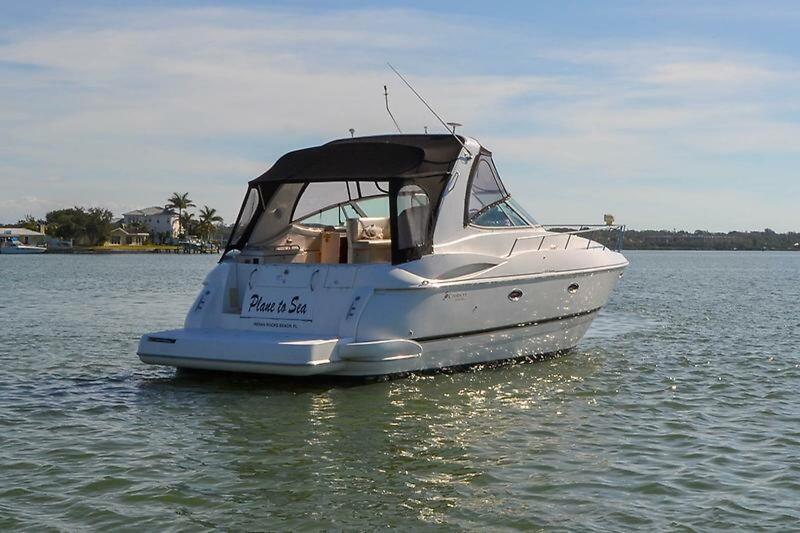 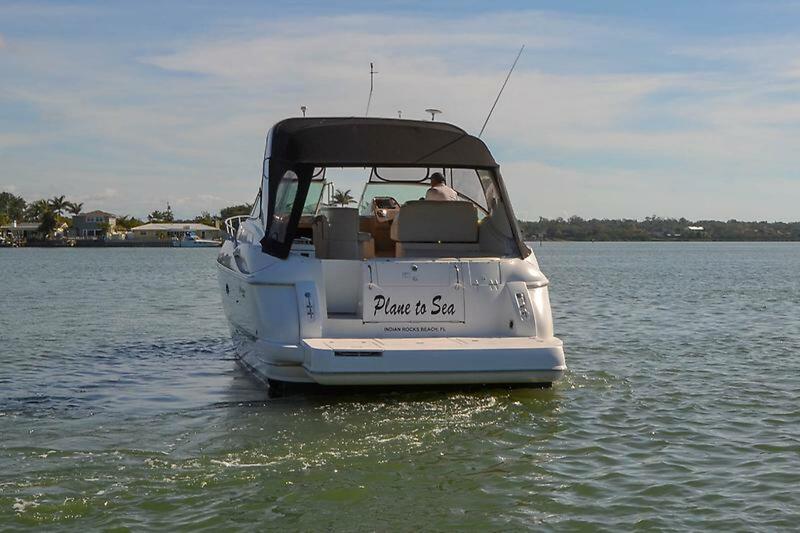 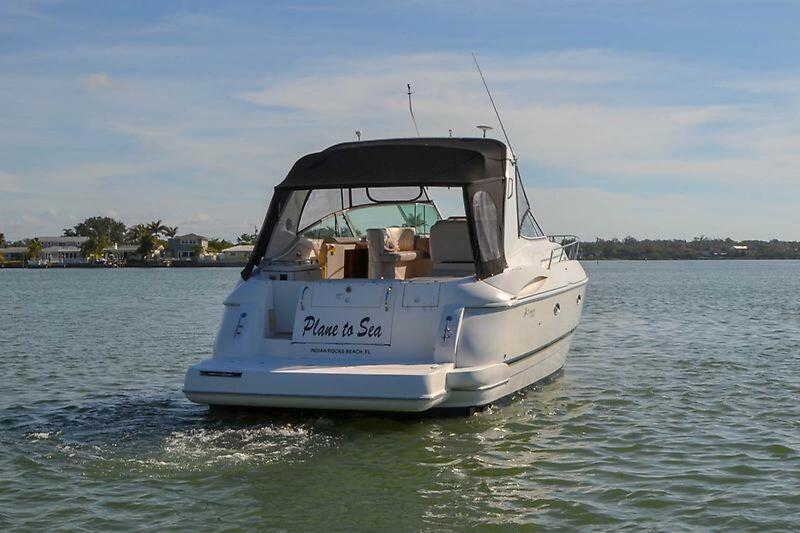 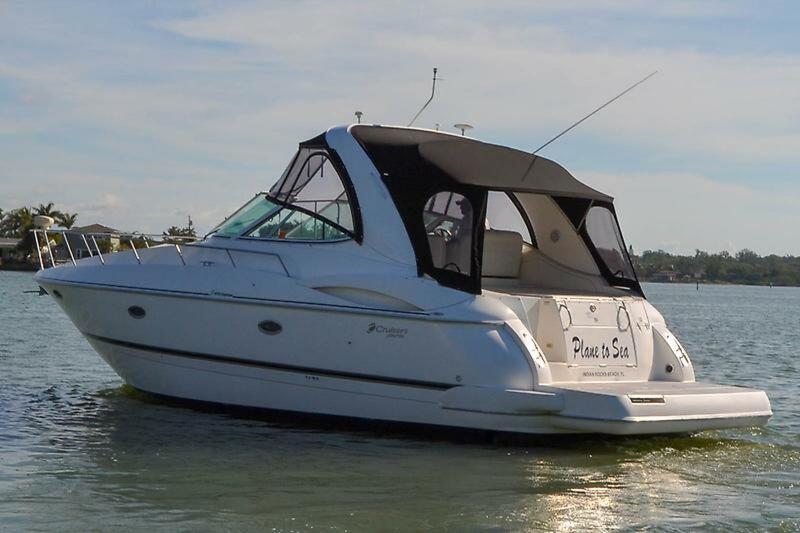 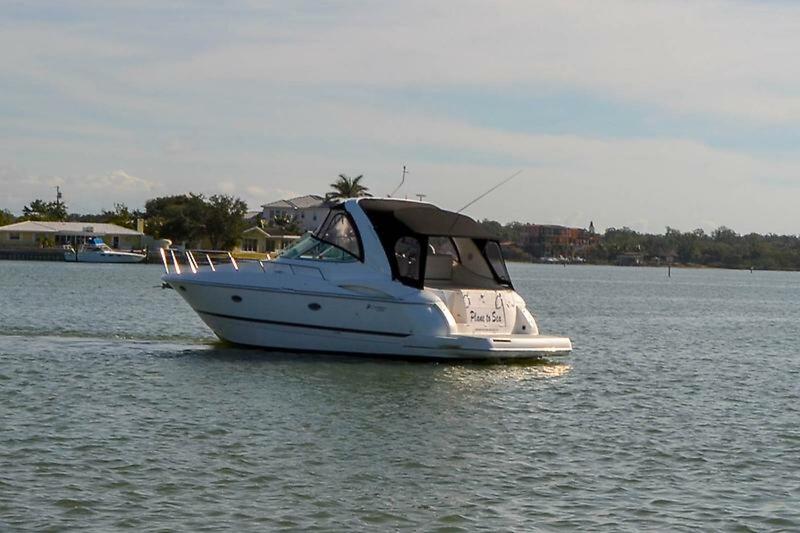 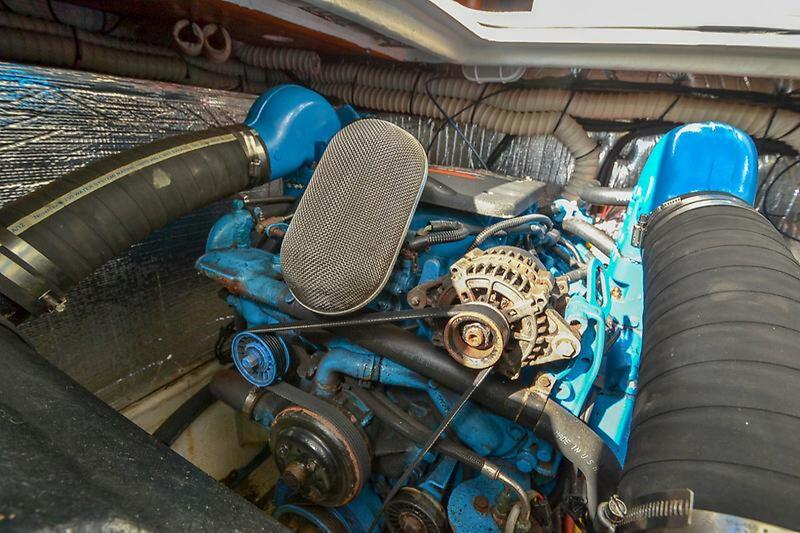 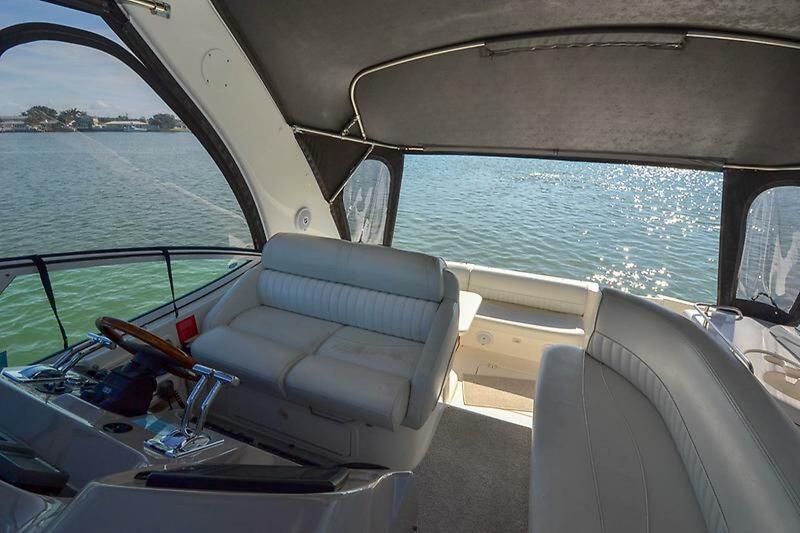 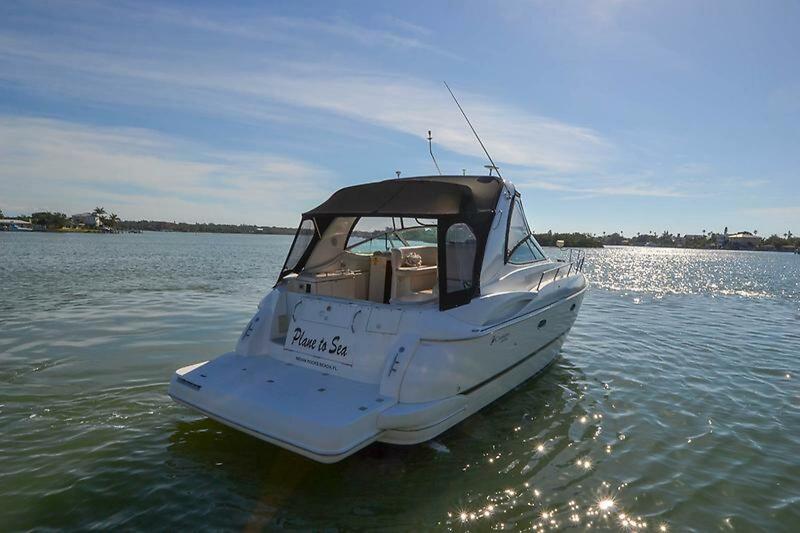 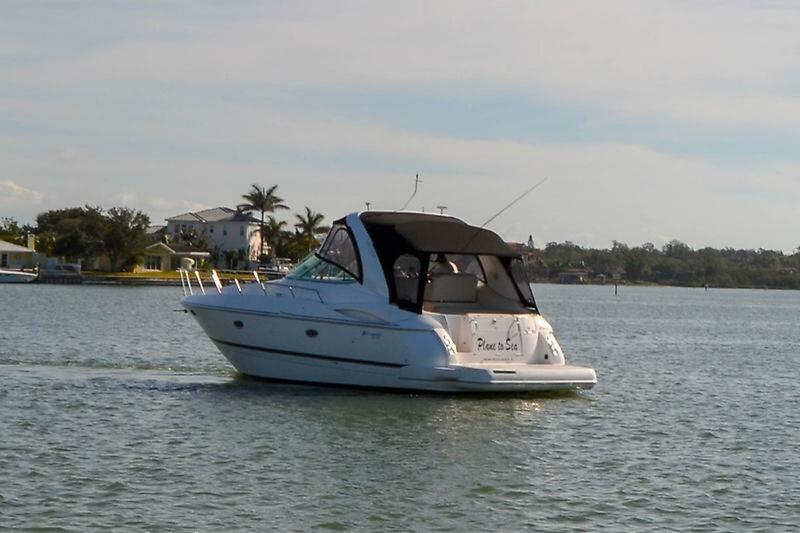 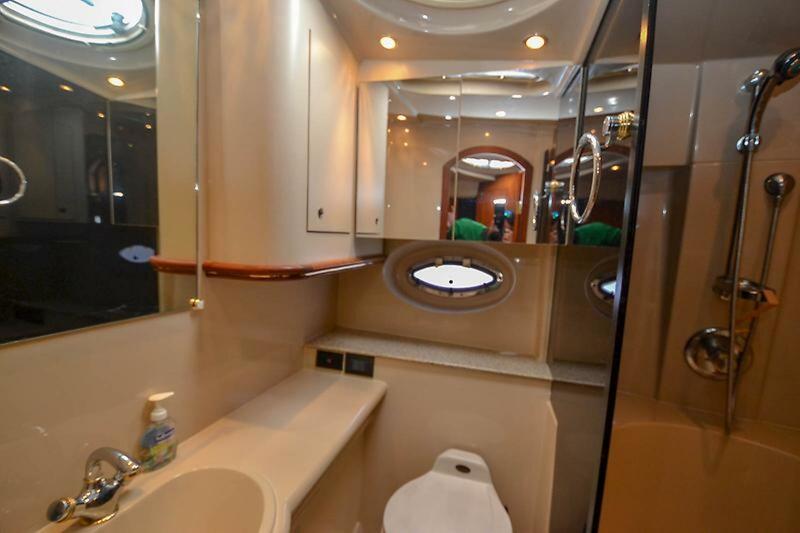 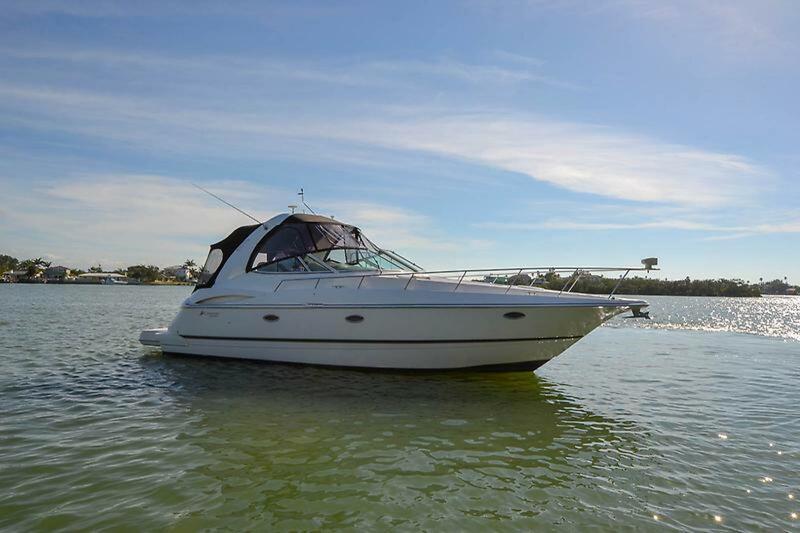 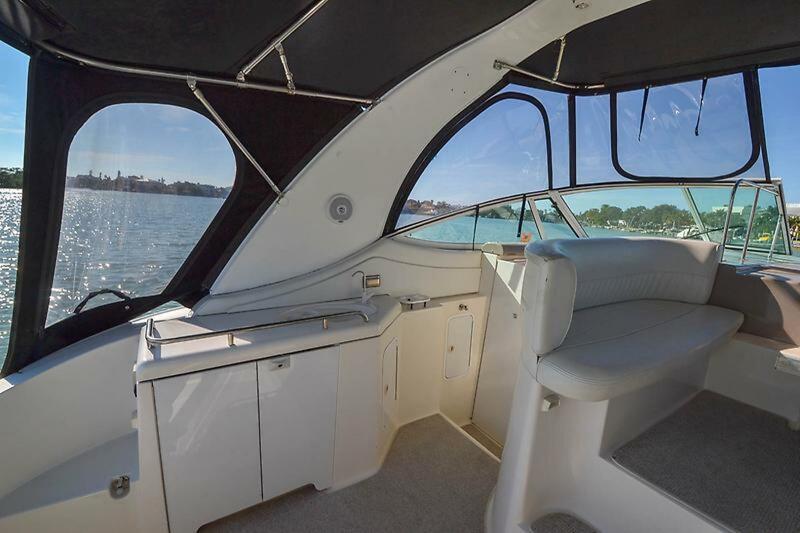 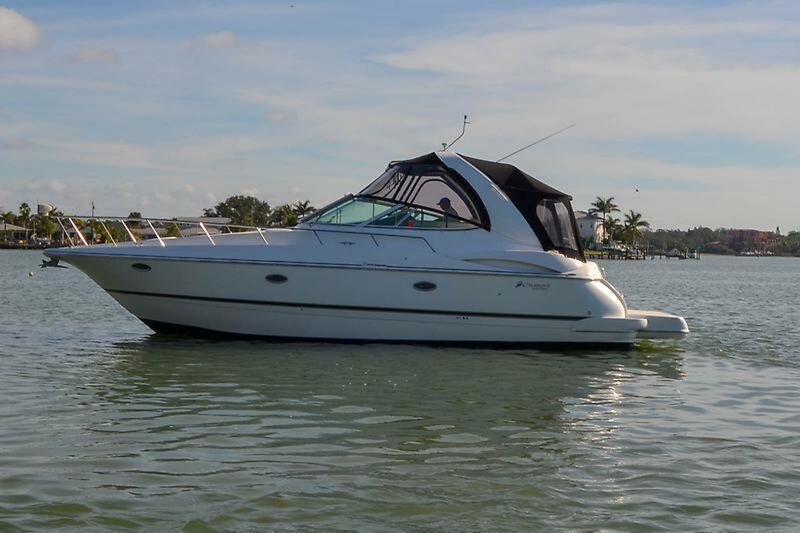 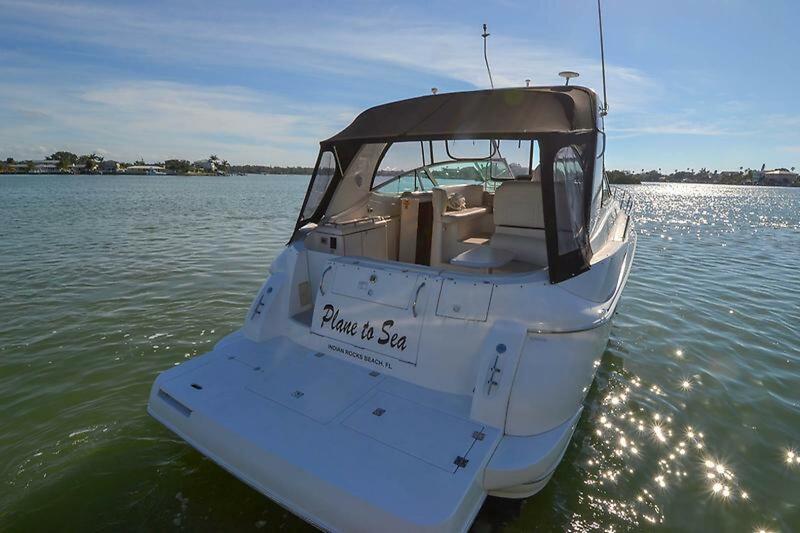 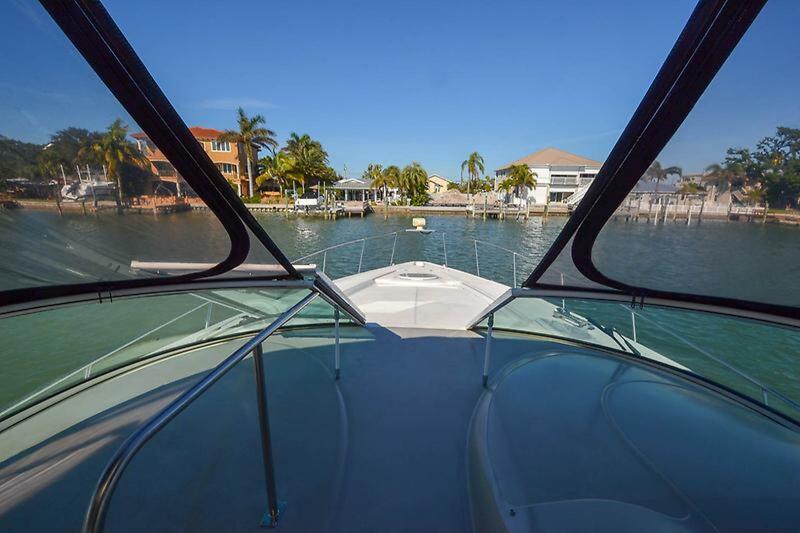 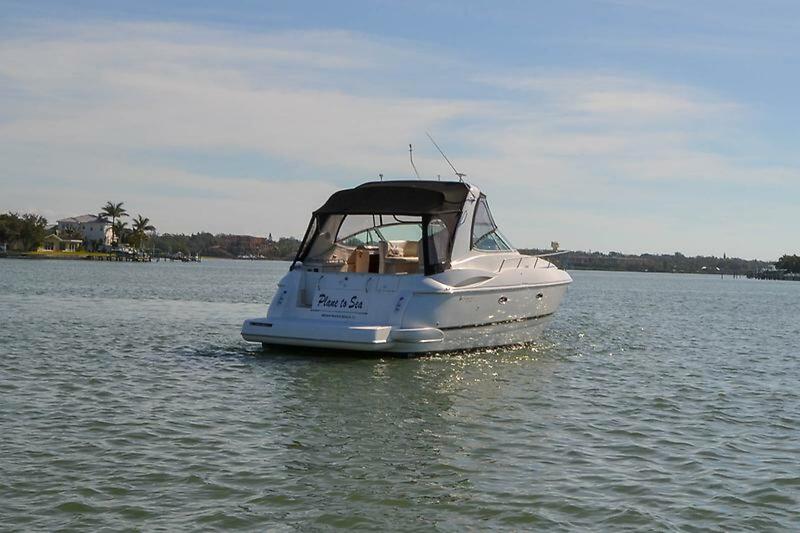 This boat was made for long weekends and cruising with a walk-through windshield, a separate stall shower in the head, excellent engine access, and a cockpit wet bar. 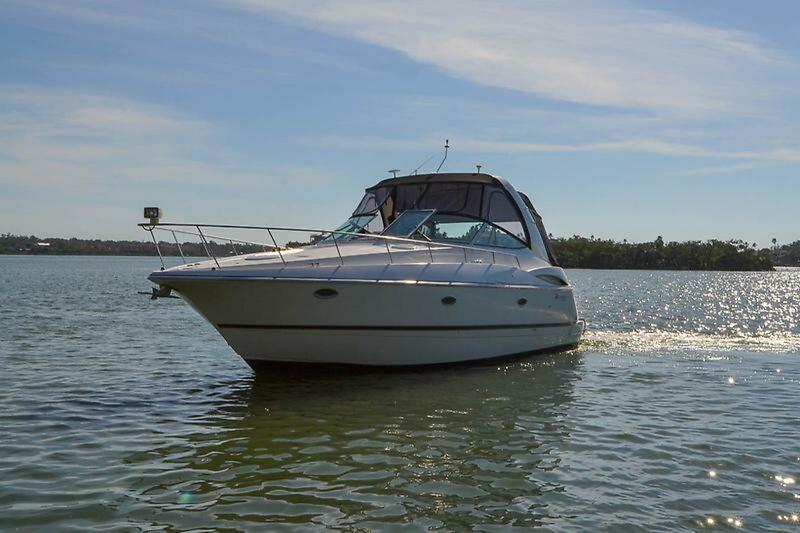 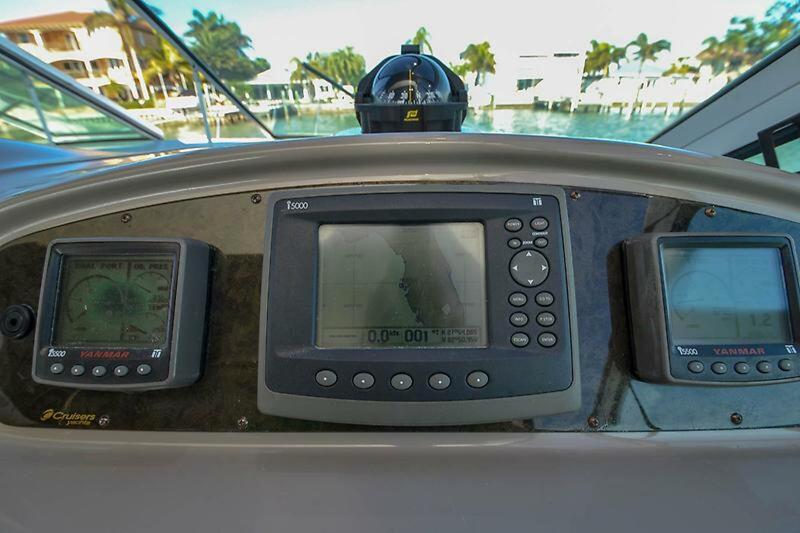 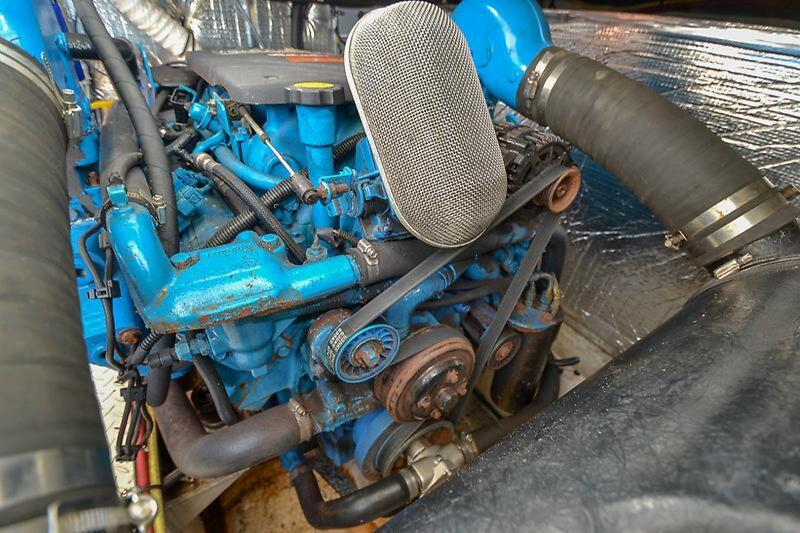 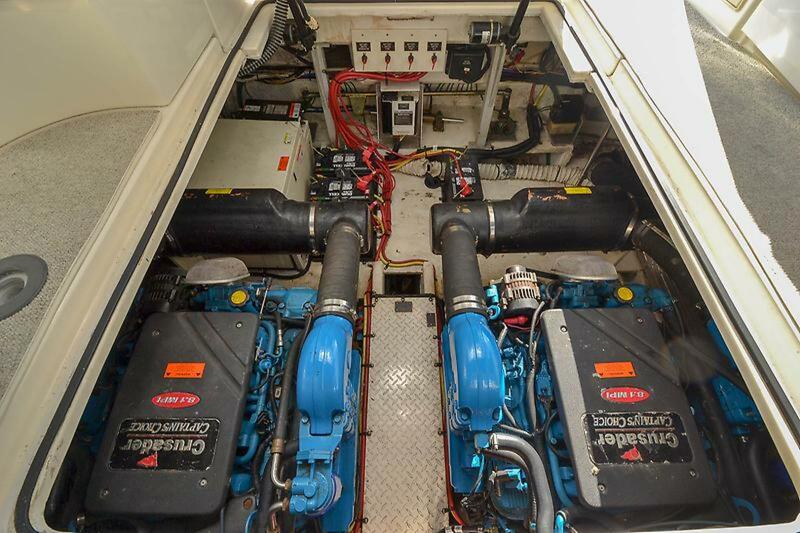 The twin Crusader 385hp cruises the vessel in the mid 20's with 29 MPH at WOT. 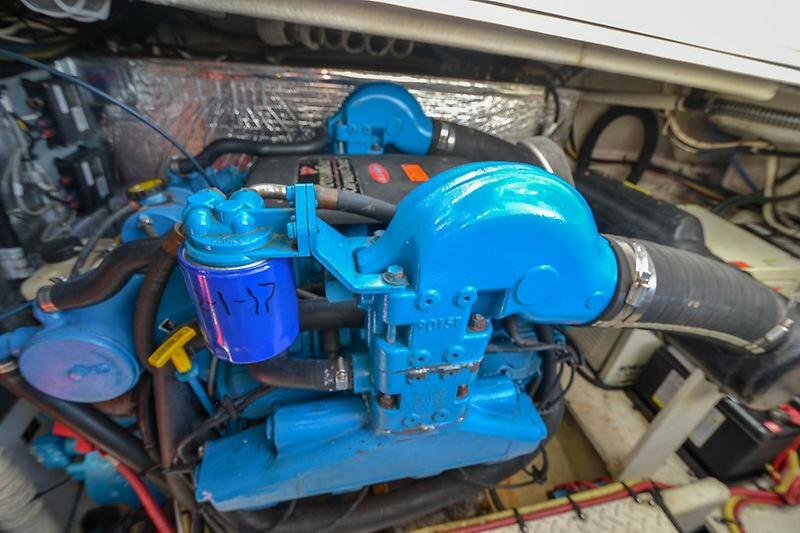 Anti-Fouling Bottom Paint and Prop speed on running gear.